(CBS) - Cats can be very weird. And don't try to argue this point. I've seen way too many cat videos and just posted about a cat's rather unusual perching behavior just the other day. 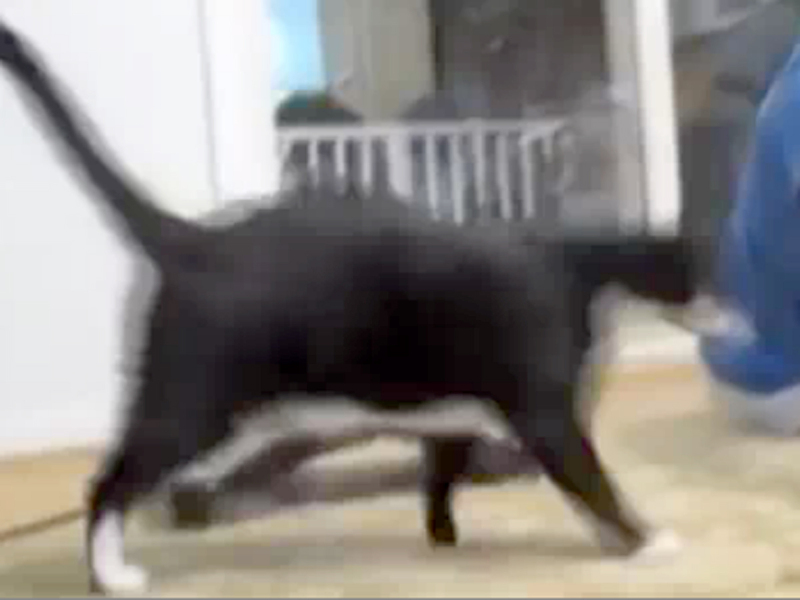 But if you still don't believe me, then check out another video example in the form of a somersaulting cat. Weird? I'd say so. Kinda cool, too? You betcha'. And was it just me or did anyone else notice something of a Pavlovian response where petting the cat would lead to the somersault? Either way, a very fun and funny video to brighten your day.